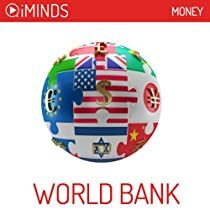 Learn about the World Bank with iMinds Money’s insightful fast knowledge series. The World Bank is an international financial institution of the UN whose purpose is the alleviation of poverty through providing leveraged loans and technical assistance to the world’s poorest countries. The World Bank was created at the Bretton Woods Conference in 1944 with the primary role of financing the post-war reconstruction of European and Asian countries devastated in WWII. Today the World Bank consists of the International Bank of Reconstruction and Development (IBRD) and the International Development Association (IDA) which form part of the five institutions which make up the World Bank Group. The World Bank Group plays a leading coordination role in international economic affairs due to it being a multilateral institution with extensive experience and partnerships with countless UN agencies, aid agencies, NGOs and national, regional and local governments. The IBRD, the original institution of the World Bank, is a triple A rated financial institution which provides loans, guarantees and analytical and advisory services to middle-income and creditworthy low-income countries. These countries represent 70% of the world’s poor. The Bank uses its triple A credit rating to source funds from the world’s financial markets and provides these at a small mark-up to qualifying countries for approved projects. While these medium-term, usually 10 year, loans are substantially lower than those in the private sector they are often attached with strict conditions and monitoring programs. iMinds will hone your financial knowledge with its insightful series looking at topics related to Money, Investment and Finance.. whether an amateur or specialist in the field, iMinds targeted fast knowledge series will whet your mental appetite and broaden your mind.iMinds unique fast-learning modules as seen in the Financial Times, Wired, Vogue, Robb Report, Sky News, LA Times, Mashable and many others.. the future of general knowledge acquisition.